TOKYO, July 25, 2018 - Ricoh Company, Ltd. has been selected for continuous inclusion in the FTSE4Good Index Series and in the FTSE Blossom Japan Index, which are share price indexes for ESG investments. 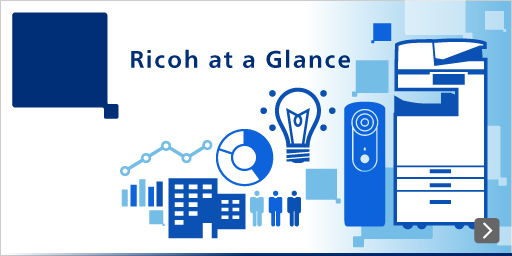 Ricoh has been included in the FTSE4Good Index for 15 consecutive years (since 2004), and in the newly-created FTSE Blossom Japan Index since last year. FTSE Russell—a wholly owned subsidiary of the London Stock Exchange (LSE) Group—has been selecting companies for inclusion in their FTSE4Good Index since 2001 and has focused on companies demonstrating strong Environmental, Social and Governance (ESG) practices. The FTSE Blossom Japan Index was created in 2017, with a focus on Japanese companies and has since been adopted by the Government Pension Investment Fund (GPIF) as its share price index for ESG investments. ESG investments are those that consider not just a company's financial information, but also their approach to Environmental, Social and Governance (ESG) practices. ESG investments are based on the understanding that placing an emphasis on good ESG practices can help eliminate risk. Such information cannot be gleaned from regular financial reports, and so ESG investments can lead to more sustainable growth and greater mid-to-long term revenue potential for those companies.